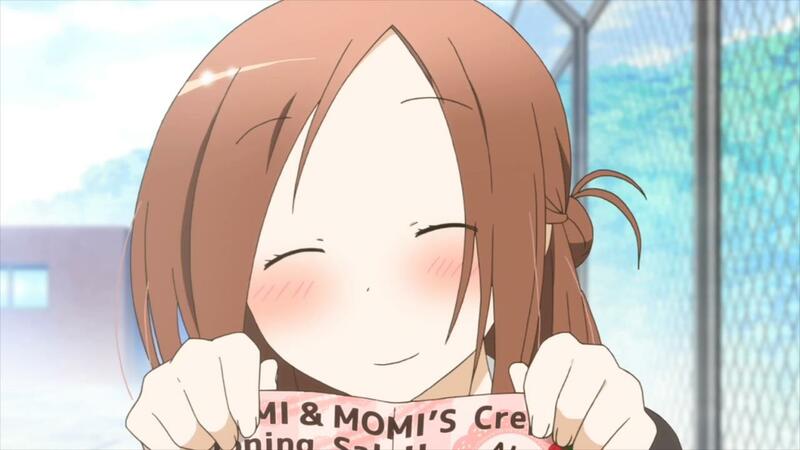 Quite frankly, I can’t express how glad I am that I decided to watch this show for Spring 2014. 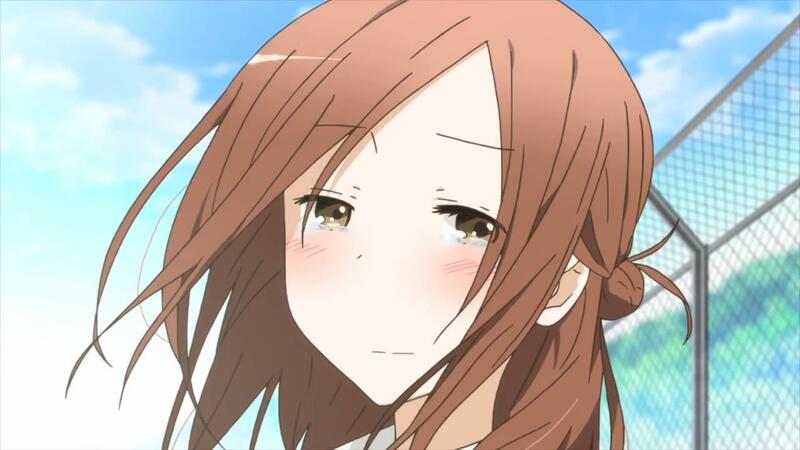 It may not be my most favorite feature out of the bunch (had to give it to Kawaisou), but from the time I saw its relatively simple snippet on anichart up to the last episode; I knew in my heart that Isshuukan Friends was going to be something special. And it really was, for the most part. It was happy and lovingly sweet at times, and heart-tuggingly sad most of the time. As the plot would have you; a guy trying to befriend a girl whose memory of her friends gets wiped every week – it’s to be expected isn’t it? Ef – a tale of memories (Chihiro/Renji) surely wasn’t a complete joy ride; and the last time I saw a more comedic take on the story of a guy trying to establish a relationship with a girl suffering from chronic amnesia was 50 First Dates (awesome movie by the way). As similar One Week Friends became thematically with Ef, the eventual denouement surprisingly steered more towards how 50 First Dates handled it. If you haven’t seen 50 First Dates (you should), I’m gonna spoil you a bit by saying the ending is essentially a compromise, as opposed to Ef’s ending, which went the way I expected One Week Friends would. In Ef – a tale of memories, Chihiro, whose condition makes her forget the events of yesterday, “breaks out” from it (miraculously/of her own will) during the final confrontation with her lover, Renji, as he shows her the torn pages of her own diary. In 50 First Dates, Lucy Whitmore (Drew Barrymore) suffers from nearly the same condition as Chihiro. By the end of the film Henry Roth (Adam Sandler) takes it upon himself to wholeheartedly support Lucy as a precedent of falling in love with her, whilst Lucy conversely decides to re-establish her memory every waking day so as to maintain their relationship. And finally, in the last episode of One Week Friends, Hase and Fujimiyaadmit to each other that they want to become closer, and then proceed to share an implied resolution with each other to be friends; no matter what. 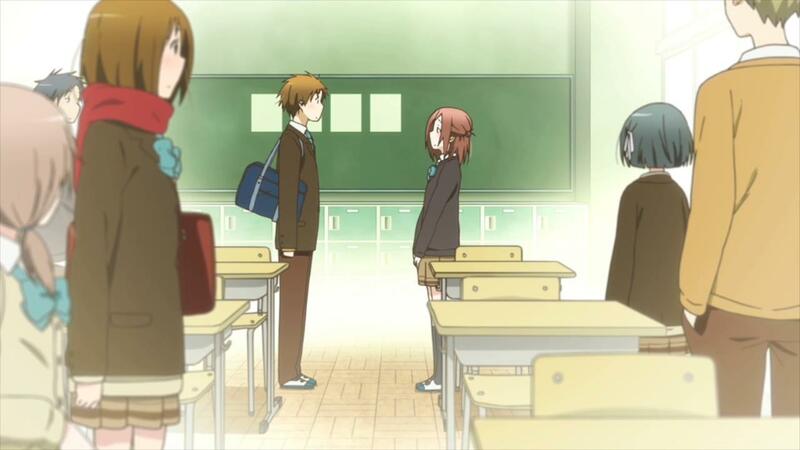 It’s to be assumed that by the end of the show, Fujimiya continues to depend on Hase, her friends, and her diary. Now that we’re all up to speed.. I felt like I needed to bring up Ef – a tale of memories for this post, as being the first, or rather the only anime that I know of that deals with memory loss applied to human drama. I’ve praised this show before as being one of my favorite anime romances to this day. 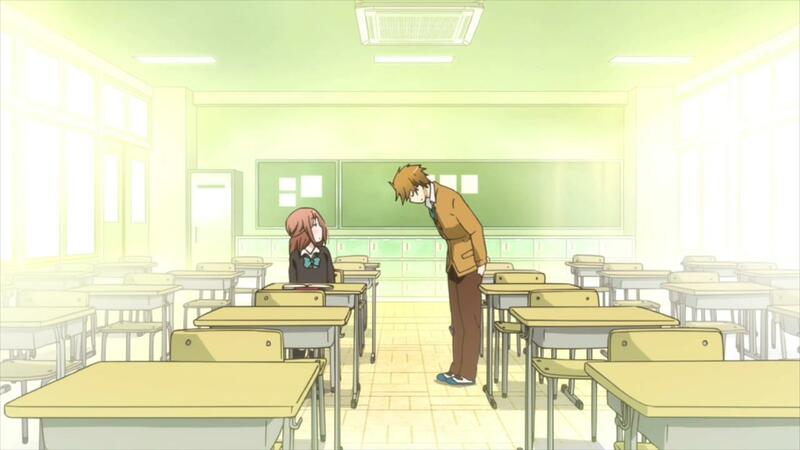 I do however find fault with Chihiro’s condition being cured by, what is essentially, the power of love. It was a fantastical happy end to what was an otherwise despairing reality. It doesn’t make Ef bad as a result; but it does take away the reality of the situation. It was the realism that 50 First Dates and One Week Friends settled with at the end of their respective stories that really resonated with me; and the reality that they came up with is that there is no solution. Fujimiya Kaori would have to live with this condition. And that’s fine. She has resolved herself to that as much. In hindsight, it was never really about Fujimiya’s mysterious condition in the first place; it was about her making friends in spite of it. I may have displayed favor with these types of endings on some occasions (whether here or another aniblog), but it’s not like I do so for pessimism sake. I genuinely find myself satisfied with the way One Week Friends ended. I earlier said that I expected Fujimiya to miraculously heal; and it would have been okay either way. I would’ve still said that it was good show. The fact however, that it went the less-traveled route (to me at least), was enough to completely win me over. In my opinion, the inner conflicts of One Week Friends (Fujimiya’s struggle with the emotional strain that comes with her condition, Hase’s continuous doubting of his actions) can be seen as a reflection human limits – how people choose to act when presented with an unworkable situation; how far people are willing to go to achieve something they want; how people can be forced to make the best out of the hand they’re dealt. We succeed. We fall. Surely, we also compromise. Hase would undoubtedly introduce himself as many times as need be; and Kaori will always accept him. Beautiful. Sad. This entry was posted in Articles and tagged Anime, commentary, one week friends by Leap250. Bookmark the permalink. Did you really think Chihiro’s condition in Ef was cured? It seemed a bit ambiguous to me. I can see how the chains breaking could mean the breaking of her memory limitation, but one could also look at it as simply she realizing she is not really stuck in a 13h timeframe, as there is someone who’ll always be by her side. In any case, it’s not very clear. I looked hard for some evidence in “a tale of melodies” of what the outcome of her memory problem was, but once again there was nothing very conclusive, even thought she made up with her sister. So I wouldn’t put it in the category of “magically cured”, but more along the lines of One Week Friends, making the best out of what you have and try to build something from there. I really do. But you may have me there. I’m going off of what I remember from Ef, but as I only have my knowledge of the anime and not of the VN; I went with what I assumed had happened. At the very least, that’s what I believed to have seen; Chihiro breaking free not only from the chains, but from the dark “place” she’d been all this time. On the flipside of that argument though, the anime was very theatrical with this imagery, so, as you said, all we may really have are interpretations. I suppose for me, the idea that she could recall Renji (or think of him past 13 hours); even that I’d chalk as something remarkable. It still holds true though, that ultimately her feelings/love for Renji were strong enough to beat her condition.